The U.S. Environmental Protection Agency and the Army Corps of Engineers secured a major environmental victory on Wednesday, as the agencies finalized a monumental piece of regulation aimed at redefining the waters of the United States. The Waters of the U.S. rule is an overarching piece of regulation that runs hundreds of pages long. The largely debated rule is designed to clarify the government’s scope of authority when it comes to overseeing the country’s streams, rivers, lakes and wetlands – a confusing process that has tripped up regulators ever since the Supreme Court issued unclear decisions in two important court cases. For more on WOTUS, also read: "Waters of the U.S. comment window set to close"
The newly finalized rule places all navigable waterways, their tributaries and other nearby water features under protection of the Clean Water Act. President Barack Obama heralded the move as victory for recreation, public health, the economy and his administration. Although finalized, the debate is likely not over. That period of public comment officially closed in November. Before it did, individuals and groups submitted more than 20,000 comments online. Dozens of federal and state-level lawmakers have also rallied against WOTUS since the beginning, including criticism from current U.S. Speaker of the House John Boehner (R-Ohio). The speaker issued a statement addressing the final ruling promptly following the regulation’s finalization. “The administration’s decree to unilaterally expand federal authority is a raw and tyrannical power grab that will crush jobs,” he said in the statement. The Army Corps of Engineers published a nearly 100-page economic analysis of the rule. The analysis found that, compared to current regulations and historic practices, the WOTUS rule would likely cause the scope of jurisdictionally waters to decrease. The costs and benefits to Clean Water Act programs would also likely decrease, according to the analysis. Many of the comments posted online opposed the Waters of the U.S. rule. Comments came from anonymous individuals, associations, political groups and others. Visit Regulations.gov to scroll through the thousands of comments. 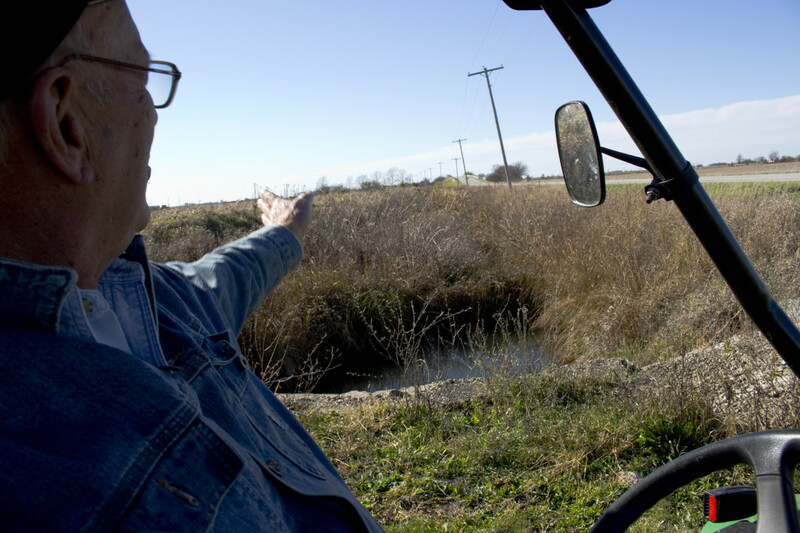 The finalized WOTUS rule faces, perhaps, its greatest threat in H.R. 1732, otherwise known as the Regulatory Integrity Protection Act of 2015. The act, introduced by republican Rep. Bill Shuster of Pennsylvania in April, requires the EPA to withdraw the rule altogether. “Now, through the Waters of the United States, we are connecting everybody to the ocean somehow and saying that every bit of land is somehow connected to navigable water,” said republican Sen. Rand Paul of Kentucky. The House passed the legislation on May 13. The months of discussion and debate over WOTUS have produced a very large social media campaign. Critics of the rule took to Twitter and voiced their concerns using the tag #DitchTheRule. Supporters, on the other hand, tried to debunk that effort by using the tag #DitchTheMyth. A Midwest Center for Investigative Reporting social media analysis shows 16,502 total Tweets have been sent using #DitchTheMyth since Aug. 8, 2014. The American Farm Bureau Federation has been the top tweeter during that time.